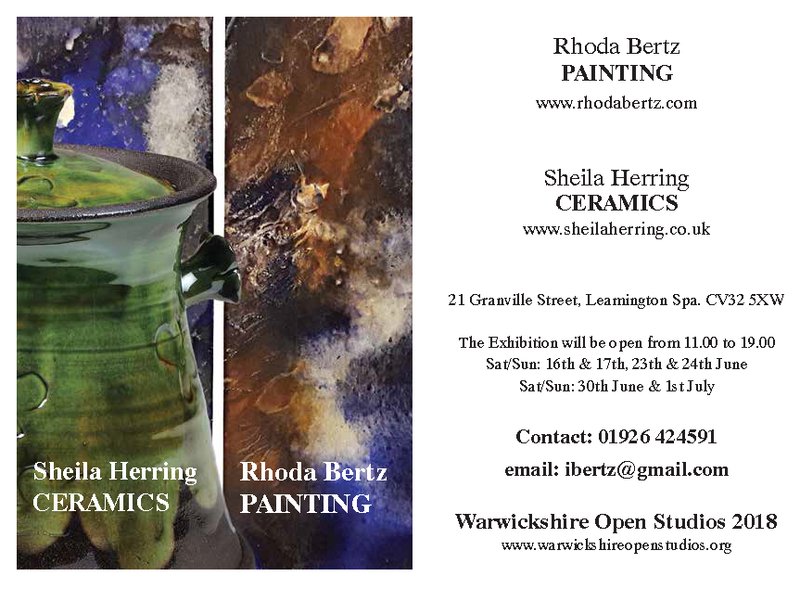 I am delighted to be participating in this open studio event alongside the expressive and absorbing works of Rhoda Bertz. This is our 4th year exhibiting together. I will be showing my new selection of pots. See the Warwickshire Open Studios website for details of opening times and location.